Sometimes something bad happens and you have to just laugh, because it’s something that is so odd it’s hard not to. 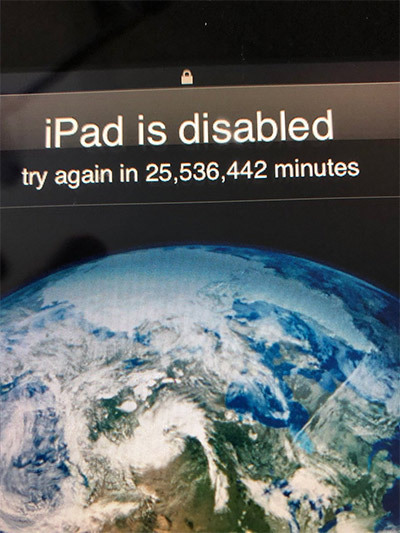 That’s the situation journalist Evan Osnos found himself in when his toddler managed to lock his iPad for the next 47 years. 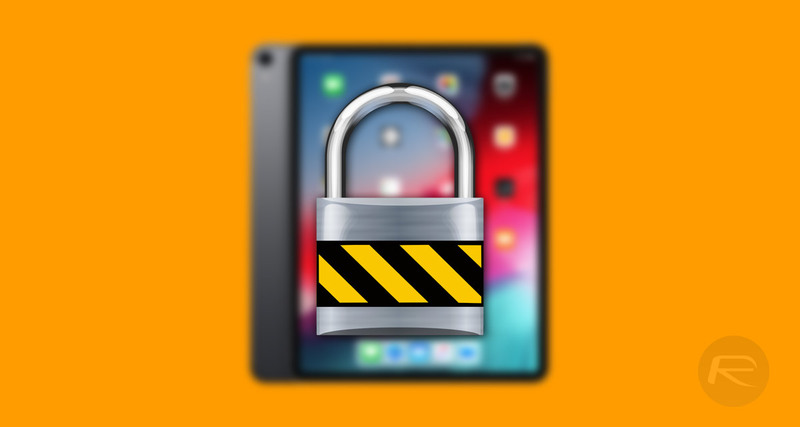 The problem arose when Osnos’s three year old toddler was able to get hold of his iPad and, as you’ve probably figured out by now, sat and repeatedly tried to enter a passcode enough times to lock it out for over 25 million minutes. That’s 47 years, which is quite a long time for anything to be locked out. As you’re probably aware, repeatedly entering an incorrect passcode on an iOS device will lock it for ever increasing amounts of time. That’s what happened here, and every time the wrong passcode was entered, the time that the iPad will remain locked increased. While this could have left the iPad as an expensive paperweight, there is thankfully a solution. Apple already has a dedicated support page that it presumably created after someone saw something like this was bound to happen. All that’s needed, should you fall foul of something similar, is to connect the device to iTunes and then restore it. It’s not ideal, and it will obviously erase the device in question, but it sure is better than waiting 47 years to get back into your iPad. Evan Osnos isn’t the first person whose kid managed to cause chaos with an unguarded iOS device and, we suspect, he won’t be the last. Just curious as to how many incorrect entries that would amount to. TLDR: do a DFU restore. Also how many minutes it took, because clearly it was some delays between wrong attempts. It can’t be it was 20 seconds before next three attempts and then boom 25 million minutes, can it? This has been happening for years. Happened to me twice. All you have to do is connect it to the computer you use to sync. If not, wipe and restore from backup. All I know is that this story is more than 20 days old. So, Redmondpie is maaad fckng late covering this old news. Thats some old iOS on that iPad man.